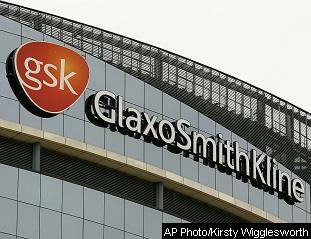 GlaxoSmithKline paid $750 million to settle criminal and civil charges. Whistleblower Cheryl Eckard will collect $96 million. On October 26, 2010, the Department of Justice (DOJ) announced that GlaxoSmithKline (Glaxo) agreed to pay $750 million to settle criminal and civil allegations brought by a whistleblower, a former company quality manager, who warned Glaxo of contamination of its products at a Puerto Rico plant. The whistleblower repeatedly alerted Glaxo managers about the problems at the factory, which included bacteria contamination of its anti-nausea medication Kytril and baby ointment Bactroban, Paxil CR tablets that had split in two, and Avandamet made with improper ingredients. Instead of taking action to recall the products and fix the problems at the plant, Glaxo terminated the quality manager after she reported the conditions. The former manager then filed a whistleblower suit under the federal False Claims Act, which resulted in the multimillion dollar settlement. In this case, the whistleblower will receive a record $96 million payout from the federal government and will likely collect additional millions from the state actions. The Wall Street Journal featured a story on the former Glaxo manager’s long journey from employee to government whistleblower. The federal False Claims Act, commonly referred to as the “FCA,” prohibits companies from defrauding the government. The FCA also provides for a whistleblower to bring an action (initially under seal) on behalf of the government, called a qui tam action. The government can then decide if it wants to intervene in the case or whether the whistleblower should proceed with it. Qui tam whistleblowers may receive up to 30% of any FCA recovery. The FCA was initially enacted to stop Civil War hucksters from selling rancid meat to the Union Army by paying bounties to tipsters. Many states have now adopted their own versions of the FCA. The DOJ recovered over $3.1 billion from FCA actions during the past year. A New York Times story reporting the Glaxo settlement noted a “rising wave” of similar lawsuits brought by whistleblowers accusing drug makers and health care-related companies of misleading patients and defrauding federal and state governments that, through Medicare and Medicaid, pay for much of the health care cost. FCA cases against pharmaceutical and health care companies are indeed growing in number, size, and scope. According to a report by the Taxpayers Against Fraud Education Fund, more than 80 percent of all successful FCA recoveries are brought to the government by whistleblowers and their lawyers, making the law the most important tool the U.S. government has in the war against fraud. Eighty-percent of these cases are also against health care companies. The defense, education, transportation and energy industries account for most of the remaining recoveries. Any pharmaceutical company that exaggerates the benefits or underplays the risk of its drugs is a target of such enforcement actions because it often leads to unnecessary drug uses among Medicare and Medicaid patients, and in some cases patient injuries and fatalities. The funds recovered by the government through settlements and fines are usually returned to the programs involved in the actions. The Food and Drug Administration and the Inspector General of the Department of Health and Human Services both announced that they would pursue charges under a strict liability rule against executives personally that would permit their prosecution and disbarment from government sales even if they are not aware of specific violations. The House of Representatives also passed a bill permitting executives to be banned even if they no longer worked at the company where the fraud occurred and permitting the inspector general to prosecute parent companies for actions of subsidiaries. In addition to the enormous Glaxo settlement, Allergan Inc. paid $600 million this year to settle both civil and criminal allegations concerning its off-label marketing allegations of its Botox treatment. AstraZeneca LP also paid $520 million regarding illegal marketing allegations of its antipsychotic drug Seroquel. Novartis Pharmaceuticals Corp. also paid $422.5 million to settle allegations it marketed its epilepsy drug Trileptal for unapproved uses. Last year, Pfizer Inc. subsidiary Pharmacia and Upjohn Co. Inc. paid the largest criminal fine ever of $1.3 billion for its fraudulent misbranding of its anti-inflammatory drug Bextra and an additional $1 billion regarding civil allegations involving Bextra and three other drugs. Similarly, Eli Lilly & Co. settled allegations brought by both the U.S. Attorney’s Office and 30 states regarding its illegal promotion and marketing of its anti-psychotic drug Zyprexa for $1.4 billion. The recent trend indicates that more whistleblowers are coming forward with complaints about their employers and the government has taken note by imposing enormous fines on these companies and perhaps, in the future, stricter penalties such as disbarment from government sale. Hopefully, the threat of prosecutions and billion dollar fines will convince many companies to clean up their act. If you would like more information on Whistleblower lawsuits or other class action news, please fill out the confidential form below. This entry was posted	on Thursday, December 8th, 2011 at 6:23 pm	and is filed under WT Blog. You can follow any responses to this entry through the RSS 2.0 feed. Responses are currently closed, but you can trackback from your own site.